At the Recovery Law Center in Honolulu, you will receive personal attention and experienced legal representation. Your dedicated lawyer and paralegal team will focus on helping you recover compensation after a car accident or slip-and-fall accident. 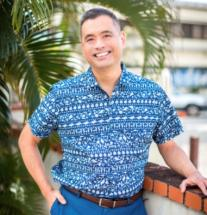 Attorney Glenn T. Honda Jr. has long been a strong advocate for the injured. We have chosen to remain a smaller law firm, providing personalized representation. We serve people seriously injured in Honolulu and areas throughout Hawaii, including members of the military, tourists and other visitors. We aim to maximize settlements and jury verdicts. We are proud of our history of successful results in motor vehicle accident (MVA) and premises liability cases. With a clear focus on personal injury representation, we project a professional image. We work to level the playing field against insurance companies. We believe people who have suffered accidental injuries should have access to quality legal representation. Personal injury cases are handled on a contingency basis. This means you will not owe attorneys' fees until we recover compensation for you. The main goal in a personal injury case is to recover compensation for medical costs, lost earnings and other expenses associated with a serious accident. We also seek compensation for clients' pain and suffering when this is achievable. In addition to fighting for a fair settlement, we help our clients in all aspects of their recovery. At all times, we are dedicated to our clients' physical, financial and emotional recovery. You may have been injured in your car, on your moped or motorcycle, or while walking or bicycling. Glenn Honda genuinely cares about your well-being and places your rights first. You can count on our diligent advocacy. Speak with an experienced personal injury lawyer. Contact the Recovery Law Center for a free consultation.